An eatery by Creative Eateries in JCube. When it first opened together with JCube's opening, the queue was long. Very long. It is only now that I got the chance to eat this. It's a Friday evening. The previous two attempts to eat this was also on a Friday evening. But today, there is no queue. Even after we had seated, and finished eating, throughout the whole session, there was no queue. We were seated pretty near the entrance. There are also counter seats and the view was the ice skating ring. You can eat while watching people skate. 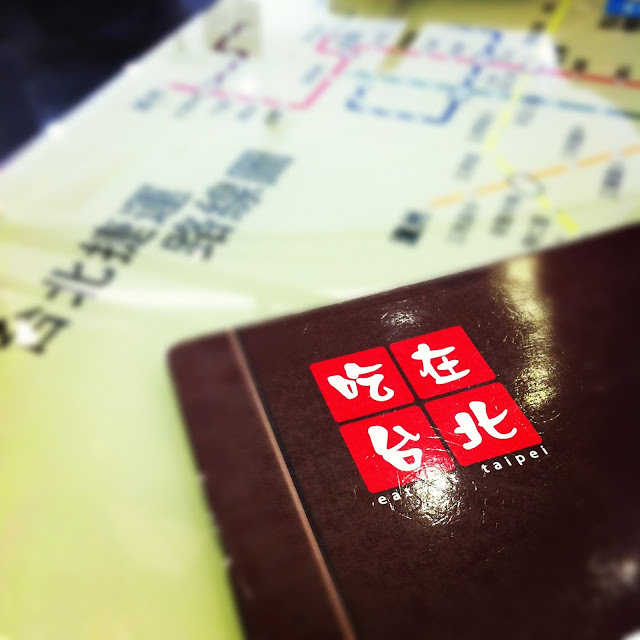 Our table has the MTR map on it. Sweet Potato Fries ($3.90) seems like a must-order dish. Almost every able has got a plate of this fries. 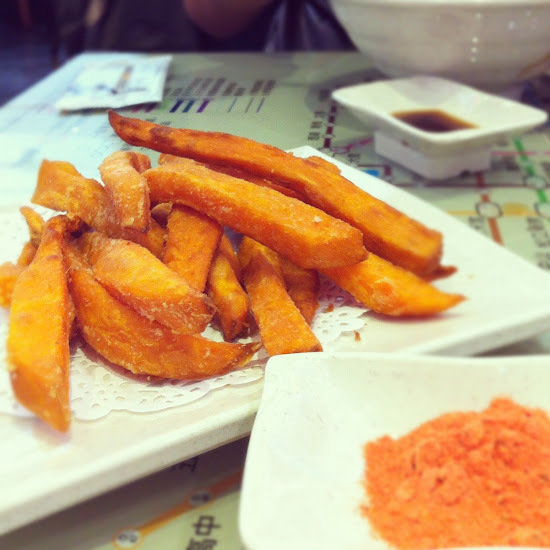 It's fried sweet potato in strips form and it comes with a powder dip. The dip taste salty. The fries taste very nice with the dip. Really a must-try. This is the only dish i find nice. 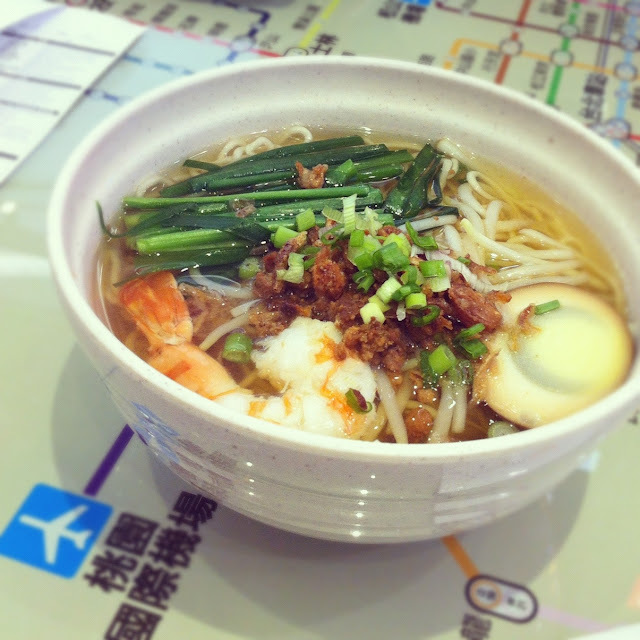 Danzai Noodle Soup with Minced Pork ($6.90). There's a prawn, half of a half boiled egg, and minced pork with the soup noodles. Taste pretty normal. The prawn is very big. Vermicelli with Oysters & Pig Intestines ($6.90) didn't really taste nice. Guess the authentic Vermicelli in Taipei taste much nicer. 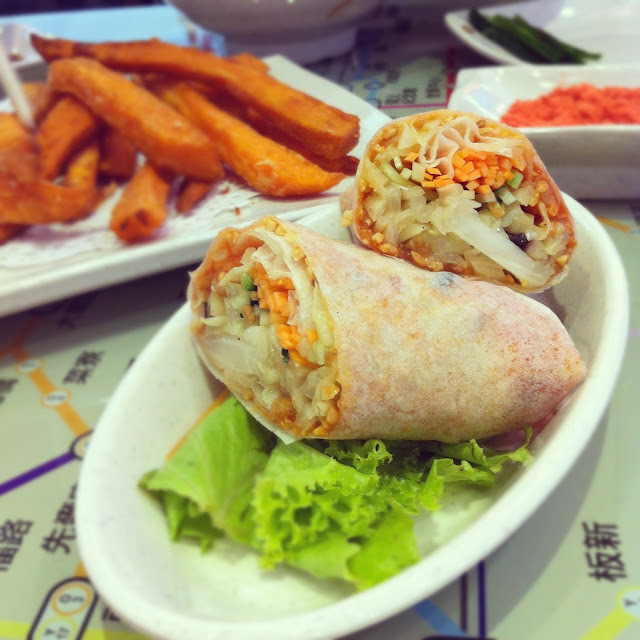 Eat @ Taipei Spring Roll ($3.90) is a big popiah wrapped with a few vegetables. There's chilli sauce in it. 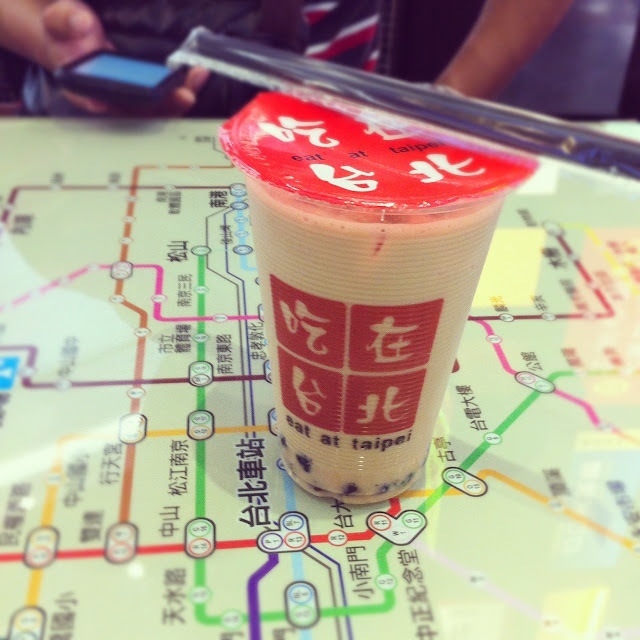 Eat @ Taipei Blended Milk ($2.50). Ugh. The milk tea taste very bad. Not recommended at all. The staff were pretty fast. When customers finished their meal and left for payment, there will be three staff appearing at the table. One clears the bowls and utensils, next one will wipe the table clean, and the last will lay out the utensils. Fast and efficient. The wet tissues are chargeable at $0.30 each and the meal is chargeable with 7% GST and 10% Service Charge. The entrance and the exit are at two different points. So we have to walk to the other side of the restaurant to make payment. A good way to redirect the flow of customers, not jamming up the entrance.